The 3/50 project is dedicated to saving the brick and mortar stores that our nation is built on. 3 - what three indepently owned businesses would you miss if they disappeared ? Stop in. Say hello. Pick up something that brings a smile. (Harvard Research that flowers are guaranteed to lift the spirits.) Your purchases are what keep those businesses around. The staff at Exotic Flowers in Boston not only appreciates your business, but also shops locally with other merchants to perpetuate their business. It takes a village. 50 - if half (50%) of the employed population spent $50 each month in locally owned independent businesses, it would generate more than $42.6 billion dollars in revenue. For $50, at Exotic Flowers in Roslindale, you could buy 50 stems of tulips and make fifty people happy or one person ecstatic. Imagine the positive impact if 3/4 of the employed population did that. 68 - For every $100 spent in locally independent stores, $68 returns to the community through taxes, payroll and other expenditures. 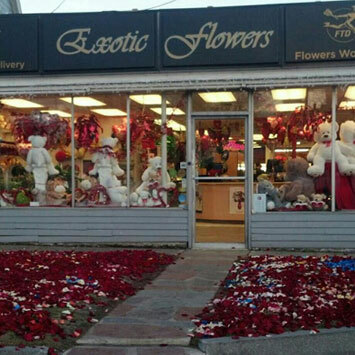 So if you buy a $100 flower arrangement at Exotic Flowers in Roslindale; $68 of that goes back to Roslindale, Dorchester, Mattapan, Hyde Park and Boston. If you spend that on a national chain, only $43 stays here. So if you have gardening needs and spend $100 at Home Depot versus Exotic Flowers, then $25 goes out of our community. If you spend that $100 online then $0 comes back to the community. 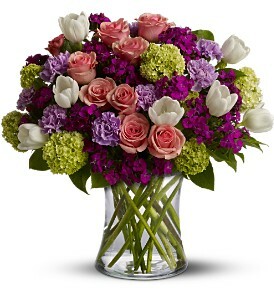 $0 nothing to the local community when you call up ftd.com or 1-800-flowers for a delivery. 1 - The number of people it takes to start the trend ... you. Pick 3. Spend 50. Support your local economy.